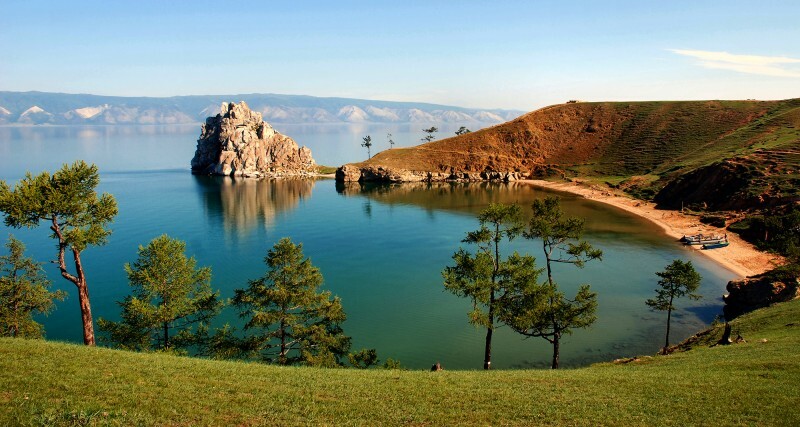 This tour is a great chance to see probably the most beautiful part of lake Baikal – OLKHON ISLAND. 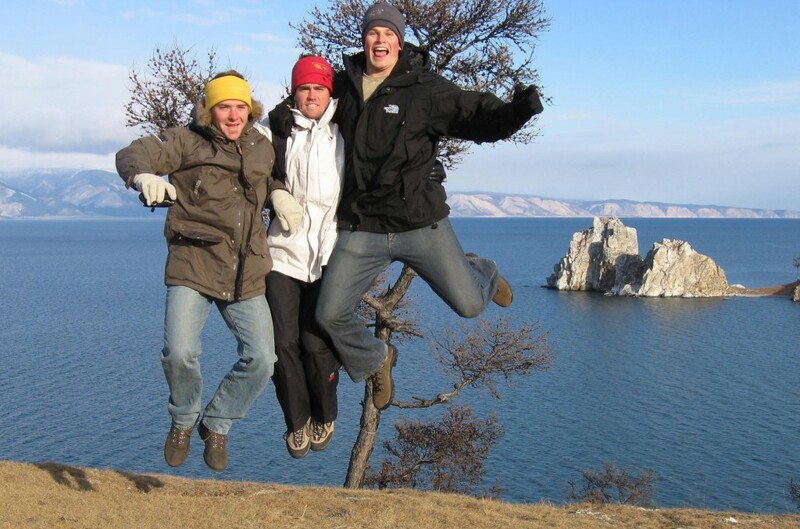 Staying with a local family in the authentic Siberian village, seeing truly Shamanic sites, walking and taking a 4WD photo safari will make this tour unforgettable. This tour is suggested as a must do for everyone who can spend 3 days and 2 nights in the area. 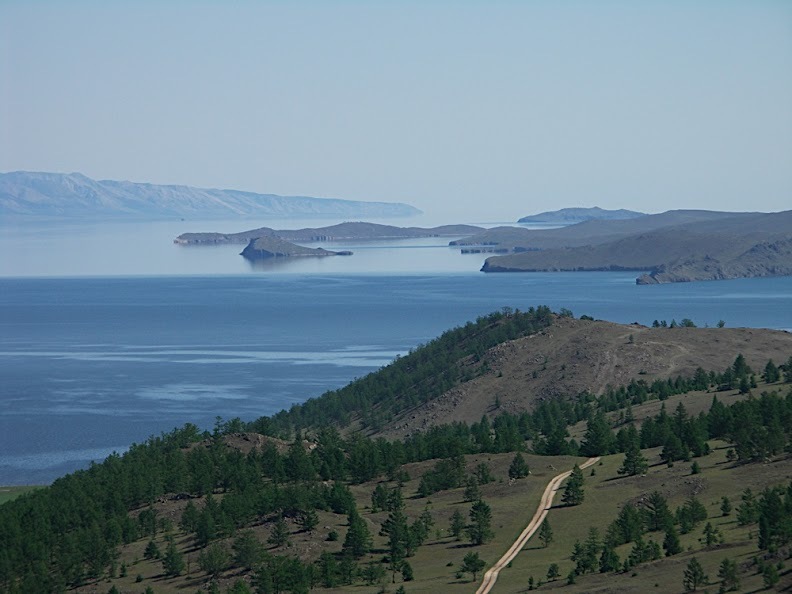 Lunch stop – Khuzir, Olkhon Island is 80 km, takes 2 hr. You’ll be picked up from my hostel (or train station or any other place in Irkutsk) at 10 am. Vehicle: a 8 sit minibus or a car. We will be driving through vast open spaces – so called Buryat Steppes – where we eventually see herds of caws and horses on green fields. In 3 hrs, we’ll stop for lunch in an off road cafe (NOT included). Meals there are inexpensive but good. The menu usually has 2 or 3 salads, 2-3 variety of soups and -always – a local specialty – big meat dumplings – “Posy”. Those cafes selling Posy are scattered along the main driving routes and called “Poznaya”. Finally, we reach the ferry pier (250 km, 4hr). Ferry service is free of charge. You’ll see wooden polls with colourfull ribbons along the road. The island still remains being the truly shamanic place. Those polls are the ‘borissa‘ – horse tethering post – a mark, where travelers have to stop (or slow down) and drop on the ground a little item (usually coin or piece of material) to show their respect ot the spirit of this area. In fact, dropping a coin is a routine daily ritual conducted every time you pass though this place. Presumably, once a year, people from the villages nearby should have a proper ceremony and sacrifice an animal. We will be getting the main village of the island – Khuzir – in the afternoon, around 1-2 pm. We will be spending all 3 days of our tour at the same place in Khuzir: BAIKALER RURAL HOSTEL aka “U Olgi” or other guesthouse if the private twins are requested ! Accommodation is in the main wooden house or a wooden guesthouse, twins. 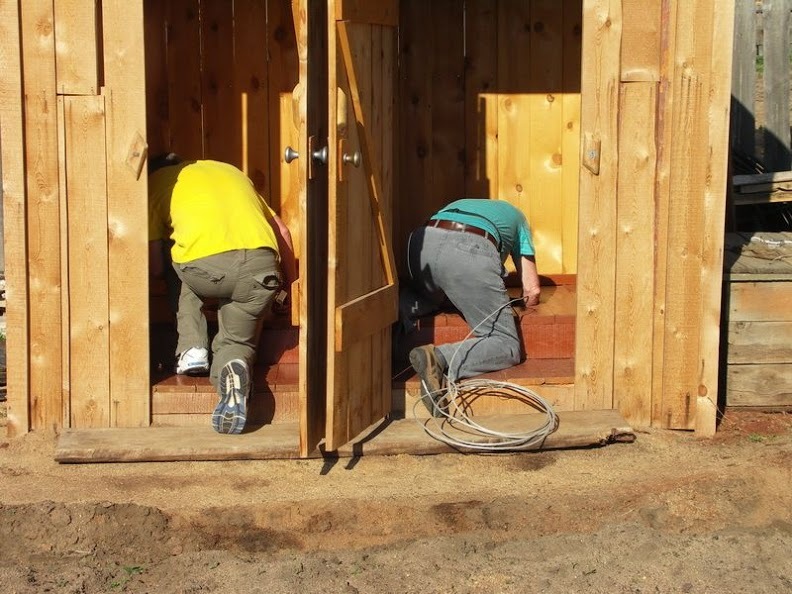 The place has running water and flash toilet (the toilet is located outside of the house). After check in, we will have a walking excurtion around the village, see the famous Burkhan Rock. Dinner. Meals are home cooked. Most of meals are based on famous Baikal fish ‘Omul’. Vegetarian meals can be offered on request. At 10 am we are picked up by a local guy on a 4WD minibus.This excursion is the great way to explore the Northern part of the island, which is not accessible for the regular cars and too far to cycle up there in one day. Total driving mileage for this day is 70km. We will be driven along the Eastern shore of the island. Our drive is combined with stops to observe the cliffs and landscapes and – of course – to take photos. We will be visiting the most famous Cliffs of the island: ‘Three Brothers’ and ‘Khoboi / Tusk’. From Khoboi Cliff you can see amazing 300 degrees panorama of the lake and its widest 80km part. Lunch is included . We have our picnic near the Northern tip of the island is a lovely forest. This 4WD drive around is number one excursion here. So we may see other minibuses packed with tourists following the same route. We return to our homestay in Khuzir by 4-6pm. Breakfast. Return by road to Irkutsk by 3-5pm. En route: Dinner (not included). ​To avoid staying in line for the ferry, this tour requires extra transfer from 15th of June till 15th of September, which costs 7000 rub per group (round trip). During the season of ice freezing and melting (approximately from April 1st to May 8th, and from December 30th to February 10th), this tour requires extra transfer, which costs 7000 rub per group (round trip) plus hovercraft ride (400 R per person)​. private car (and driver) transportation, 2 night accommodation, meals as noted (day 1: D, day 2: B-L-D, day 3: B) , local guide-interpreter services, national park fees, 4WD Jeep rent and taxes. No hidden costs. Jack, we had a superb trip, you are a fantastic guy and guide. 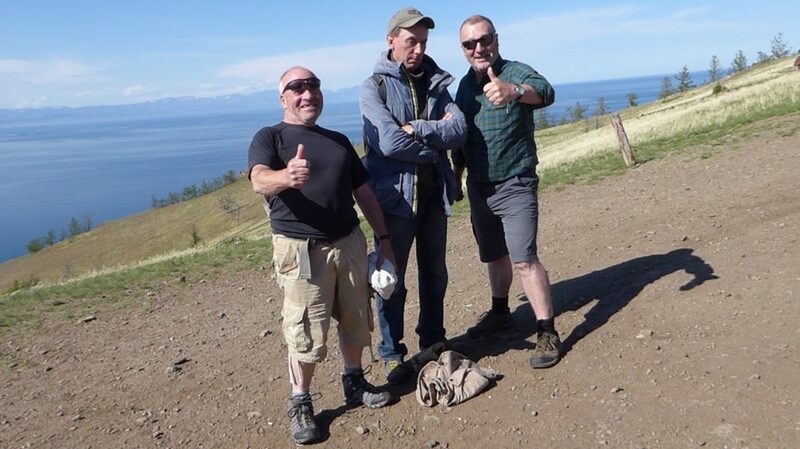 We never thought we would get to see the very special places of Lake Baikal and hear some jokes at the same time. Remember, ‘travel with Jack, he’s the best’.